When you edit a web page, you can link to other pages in a few ways. 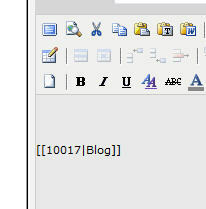 It consists of the page's document ID reference number together wither the page's title, "Blog" above. 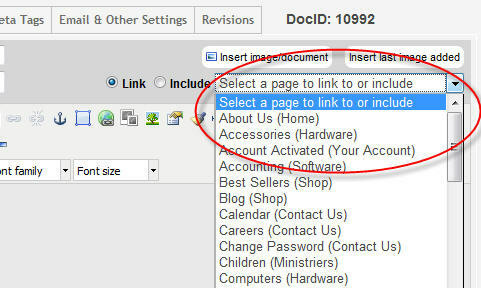 You can chane this title if you want, but do not change the Document ID reference. 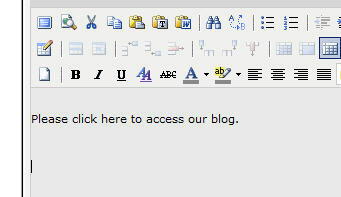 This will open a dialog that displays all pages in your web site. 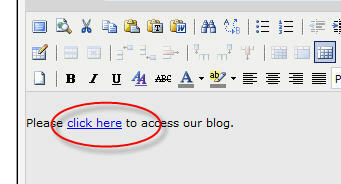 Click the desired page and the highlighted text will be linked to the selected page. yyyyyy = This is the document ID of the page you wish to redirect the user to. 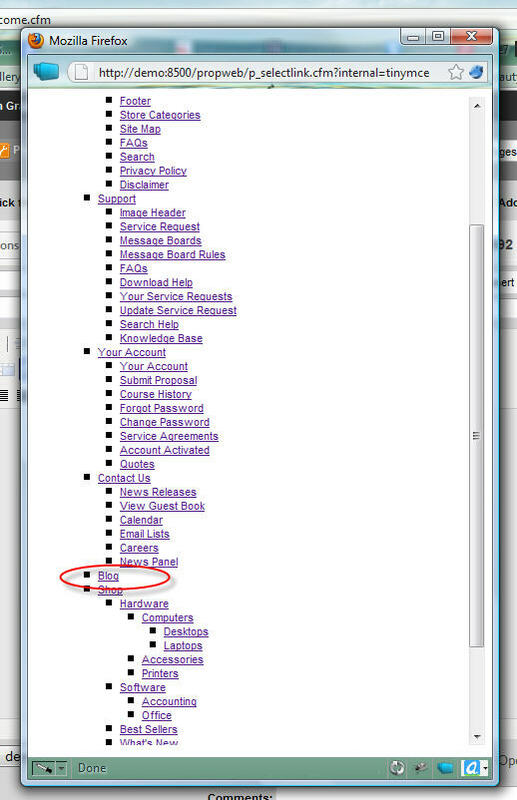 You can also specify "current" and the system will redirect the user to the current page they are on.